The top spot for global real estate investment usually comes down to a straight shoot-out between London and New York. 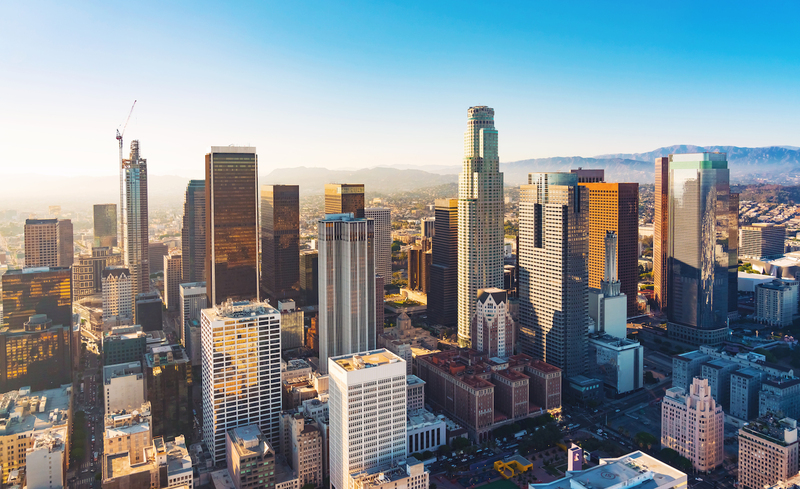 However, recent figures from data-house Real Capital Analytics show that Los Angeles has edged London out to become the world’s second-largest city for investment activity during 2016. Figures for the first quarter of 2016 reveal New York to have achieved $14.3 billion in sales, with Los Angeles and London some distance behind at $7.25 billion and $6.5 billion respectively. 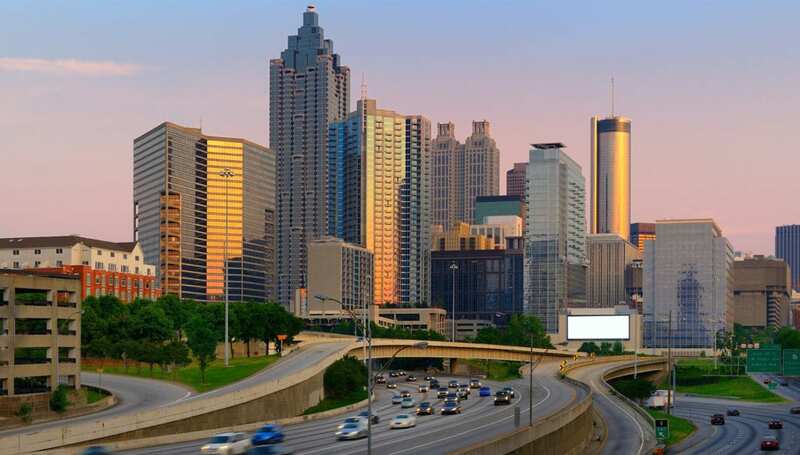 Atlanta, whilst not quite offering the global presence of the three top-tier cities, still achieved an impressive haul of some $2.58 billion of investment transactions. This places it behind cities such as San Francisco, Hong Kong, Chicago, Tokyo and Berlin but ahead of Paris, Shanghai, Amsterdam, Berlin and Frankfurt. As the largest broker-owned practice in the USA with 57 offices throughout the country, Gerald Eve international alliance partner Lee & Associates is well placed to provide some insights into these key markets and has shared their thoughts on these three key cities with us. Although New York has enjoyed significant investment activity during 2016, there has been evidence of a slow-down in activity during the second quarter with transactions dropping by some 20%. This reduction has created a gulf between seller and buyer expectations, according to Kenneth Salzman of Lee & Associates NYC. “Notwithstanding this new dynamic, we can expect trophy assets to continue trading at a premium as the downside risk is limited. These assets aside, we have not seen much activity from US investors and the market has been buoyed by overseas investors,” says Salzman. Retail remains a key market for New York and is partly responsible for attracting around 55 million tourists annually. This has led to it being considered as a showcase for brands – no better illustrated than in the case of Apple’s flagship Fifth Avenue store, which turns over $750m annually. This trend has led to some aggressive rental growth in Manhattan with many observers believing retail rents have now reached their peak. “We are beginning to see luxury retail rents in places like Madison Avenue soften as key brands begin to hold off expansion. With many brands facing increased pressure from online retailers, there is a limit to what they will pay for a physical brand presence – even in Manhattan – and ultimately rents will have to recalibrate at a lower level,” adds Salzman. 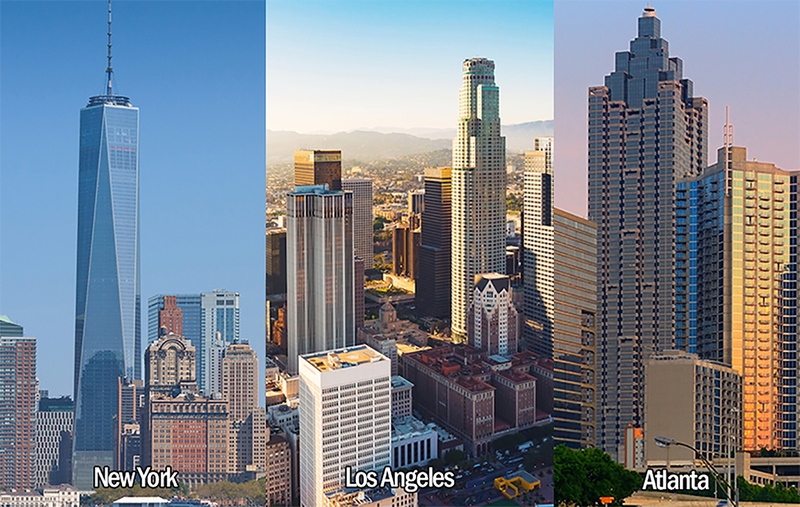 With London’s reputation as a global investment hot-spot, Los Angeles has done well to leap-frog into second place. 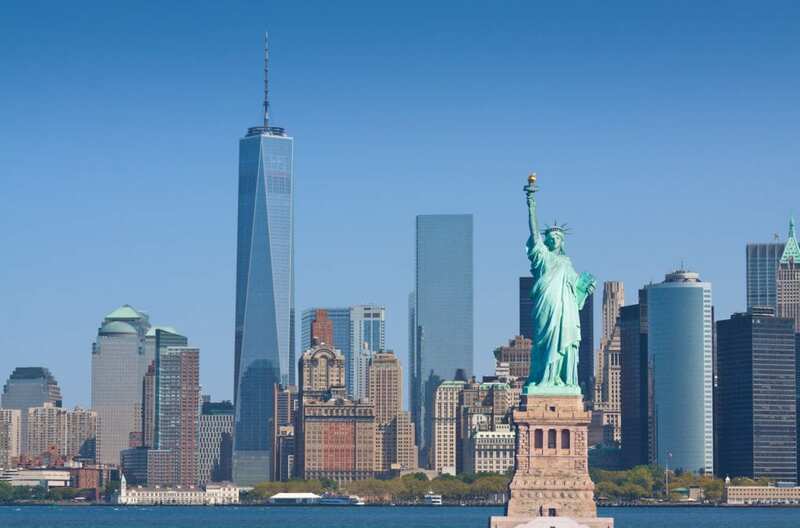 There is a sense that the city may have benefitted as traditional US and Canadian investors have become priced out of New York, while geography also works in its favor as it is particularly favored by Asian investors. Some of the largest net investors into the city this year have included GIC, CPPIB, UBS and Onni Group. While in recent years foreign money has poured into gateway markets (New York, Los Angeles, San Francisco, Boston), Atlanta has not traditionally been considered in the same league. Yet it boasts the highest concentration of Fortune 500 companies outside of New York and Houston and offers important transport connections, a good quality of life and a pro-business (and cost effective) environment. These factors have helped attract major international corporate occupiers including Mercedes Benz, Porsche and Honeywell. The strength of Atlanta’s occupier market, coupled with the prospect of better yields, is beginning to attract both domestic and foreign investors with acquisitions made by the likes of Hines and CW Capital Asset Management in the past 12 months. Patricia LeMarechal is a Partner based in Gerald Eve’s West End office. She is responsible for coordinating Gerald Eve International providing clients with a best in class service for their property needs by using local experts.